7 outlets allow you to protect multiple devices. 7 outlets allow you to protect multiple devices. 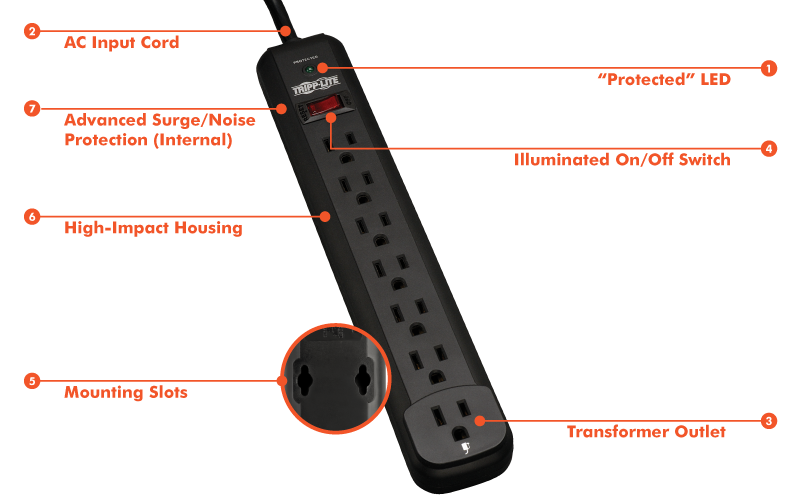 Accommodates 1 transformer plug without blocking the remaining outlets. EMI/RFI noise filtering helps safeguard equipment from harmful line noise. Features keyhole supports for wall mounting and an attractive black housing to blend in with your existing décor. Backed by the manufacturer's $25,000 connected-equipment guarantee.